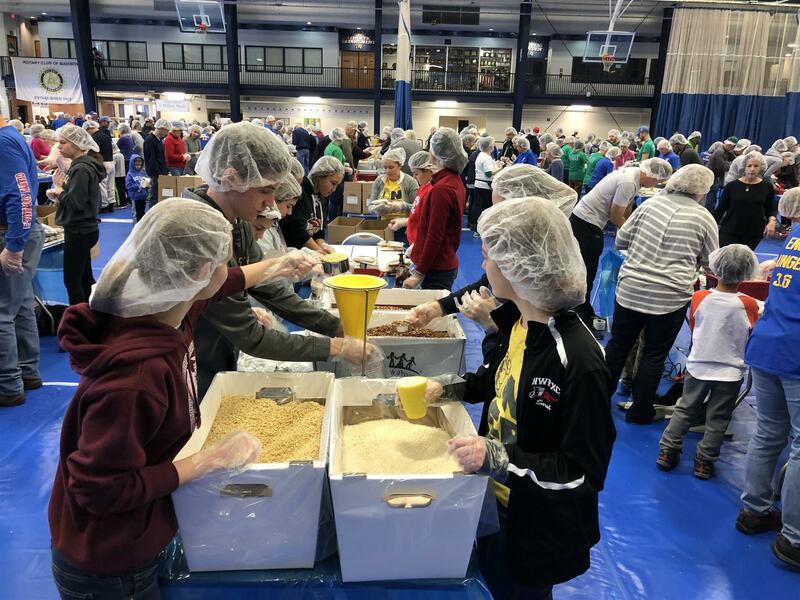 On a recent Saturday morning, members of the Blairstown Rotary and the Rotary Interact Club at North Warren Regional traveled to Drew University to participate in the End Hunger 3.6 service project. The End Hunger 3.6 project is a community event in which Rotarians and other volunteers package and distribute nutritious, ready-to-cook meals to feed the hungry in our local communities. Someone dies of malnutrition or starvation in the world every 3.6 seconds, hence the project name. 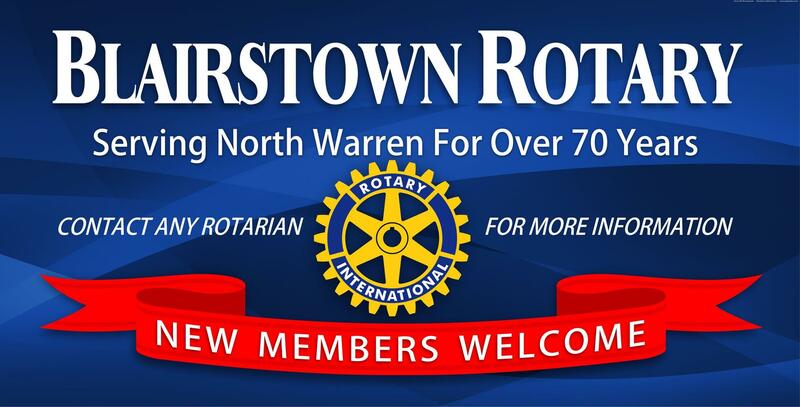 The northern NJ Rotary district is committed to tackling this issue by fighting hunger locally since, in New Jersey alone one in five children is hungry and relies on food stamps for meals, and the number of people who go hungry and are in need of assistance in finding a meal in our area continues to rise. The team from Blairstown helped package the 200,000 meals that were completed that Saturday. Meal packages will be brought back to Blairstown and, working with Blairstown-based LocalShare, these will be distributed to our local food pantries.